The steadily increasing speed of internet access reached a bottleneck during the last decade due to the cost of running fiber-optic lines to areas with lower population densities. Urban users saw a growth in options, including wired and wireless broadband, but others were left out. Some users expected Wifi to fill the gap, but this type of access can only be as fast as the wired connection. Unwilling to take on the expense of replacing copper lines with fiber-optic cable, there was no method of increasing speed. Worldwide Interoperability for Microwave Access, or WiMAX, has been theoretically possible since the advent of Wifi. The technologies are actually quite similar, so it helps to know the specifics of Wifi, which is now commonly marketed as a hot-spot. The wired internet connection is plugged into a router, which broadcasts a signal to any devices with a Wifi card. 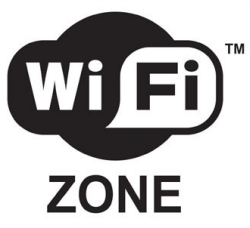 The range of Wifi with a directional antenna can go up to 100 feet in optimal circumstances. This means no insulated walls or interference, such as cordless phones on the same frequency, baby monitors, or microwaves. Wifi hot-spots can be extended beyond the 100 feet limit with a repeater antenna. However, this can reduce speed and reliability significantly with increasing distance. Even with fiber-optic connections, Wifi tops out at two megabytes per second surfing, 54 Mbps bandwidth, and around 20 users depending on their activities. In contrast, WiMAX establishes a hot-spot as large as 3,000 square miles off a single antennae. It still requires a wired connection, but it is more cost-effective with a greater number of subscribers. Towers are primarily wired with T3 lines, which pushes the WiMAX surfing speed to 4 Mbps and bandwidth up to 75 Mbps per user. Power is less of an issue, because repeater towers or more connections can be added to support a growing number of subscribers. It is a little known fact that Wifi has all the potential of WiMAX. The major difference is in government regulations on the amount of power an antenna can push on an unlicensed spectrum. Wifi transmissions face interference from other wireless technologies by virtue of being unlicensed. Many in the communications fields do consider this a virtue, by the way. The lack of control on an unlicensed spectrum means virtually no capacity is wasted. WiMAX is operating on the licensed spectrum. This means a wider range from the unregulated use of power to push transmissions. It also means designated frequencies and total lack of interference from other wireless devices. There is a downside to all this. Licensed operation requires strict control. In one sense, Wifi and WiMAX are comparable to cordless and mobile phones, respectively. On the other hand, they are likewise analogous to the boss who takes a motivational role versus one who micro-manages the work of every employee. It is currently easy to find laptops and even desktops with installed WiMAX receivers. There are over 17 providers operating in limited areas, but this is expected to grow dramatically over the next decade. Some point soon, laptops will become mobile devices with connections no different from Smartphones. Wifi has been allocated a less efficient spectrum, and its use will decline in all but the home market. WiMAX will ultimately replace even residential hot-spots with the fastest possible connections. George Hunter keeps himself up-to-date with all the latest technological gadgets as a freelance writer who blogs for wirelessinternet.org, a site that can help you with your wireless internet needs.